Filipino hero, physician, poet, novelist, and sculptor; b. at Calamba, Province of La Laguna, Luzon, 19 June, 1861; d. at Manila, 30 December, 1896. On his father's side he was descended from Lam-co, who came from China to settle in the Philippines in the latter part of the seventeenth century. His mother was of Filipino-Chinese-Spanish origin. Rizal studied at the Jesuit College of the Ateneo, Manila, where he received the degree of Bachelor of Arts with highest honours before he had completed his sixteenth year. He continued his studies in Manila for four years and then proceeded to Spain, where he devoted himself to philosophy, literature, and medicine, with ophthalmology as a specialty. In Madrid he became a Freemason, and thus became associated with men like Zorilla, Sagasta, Castelar, and Balaguer, prominent in Spanish politics. Here and in France he began to imbibe the political ideas, which later cost him his life. In Germany he was enrolled as a law student in the University of Heidelburg and became acquainted with Virchow and Blumentritt. In Berlin was published his novel "Noli Me tangere" (1886) characterized, perhaps too extravagantly, by W.D. Howells as "a great novel" written by one "born with a gift so far beyond that of any or all of the authors of our roaring literary successes." Several editions of the work were published in Manila and Spain. There is a French translation ("Bibliothèque sociologique", num 25, Paris, 1899), and two abbreviated English translations of little value: "An Eagle's Flight" (New York, 1900) and "Friars and Filipinos" (New York, 1902). The book satirizes the friars in the Philippines as well as the Filipinos. Rizal's animosity to the friars was largely of domestic origin. The friars were the landlords of a large hacienda occupied by his father; there was a vexatious litigation, and a few years later, by Weyler's order, soldiers destroyed the buildings on the land, and various members of the family were exiled to other parts of the Islands. Rizal returned to the Philippines in 1887. After a stay of about six months he set out again for Europe, passing through Japan and the United States. In London he prepared his annotated edition of Morga's "Sucesos de las Islas Filipinas" which he completed in Paris (1890). In Belgium he published (Ghent, 1891; Manila, 1900) "El Filibusterismo", a sequel to "Noli Me Tangere". Its animus may be judged from its dedication to three Filipino priests who were executed for complicity in the Cavite outbreak of 1872. In 1891 he arrived in Hong Kong, where he practised medicine. 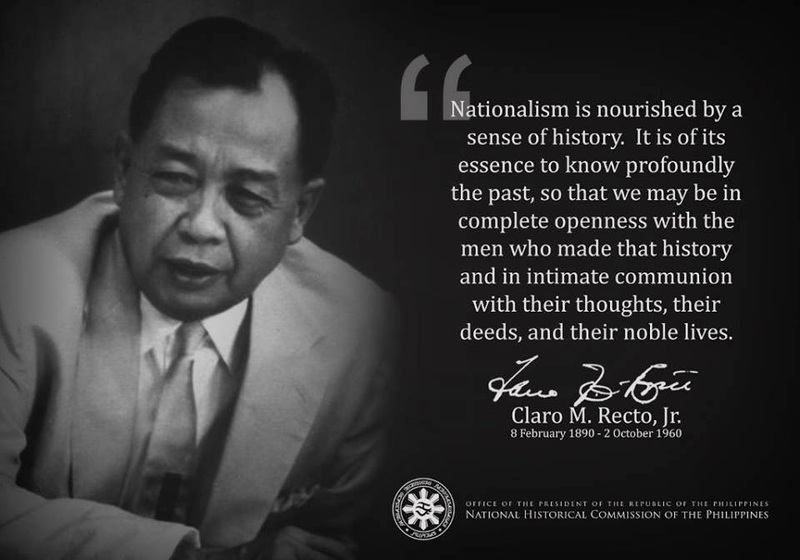 The following year he came to Manila, but five days before his arrival a case was filed against him for "anti-religious and anti-patriotic propaganda". On 7 July the governor-general ordered Rizal's deportation to Mindanao. The reasons given were the finding in his baggage of leaflets, "satirizing the friars and tending to de-catholicize and so de-nationalize the people"; and the "publication of 'El Filibusterismo' dedicated to the memory of three traitors_condemned and executed by competent authority_and whom he hails as martyrs". Rizal spent four years in peaceful exile in Dapitan, Mindanao, when he volunteered his services to the governor to go to Cuba as a surgeon in the Spanish Army. The offer was accepted. When he arrived in Spain, he was arrested and brought back to Manila, where he was charged with founding unlawful associations and promoting rebellion, and sentenced to be shot. Rizal had given up the practice of his religion long years before. But now he gladly welcomed the ministrations of the Jesuit Fathers, his former professors, and he wrote a retraction of his errors and of Masonry in particular. On the morning of his execution he assisted at two Masses with great fervour, received Holy Communion and was married to an Irish half-caste girl from Hong-Kong with whom he had cohabited in Dapitan. Almost the last words he spoke were to the Jesuit who accompanied him: "My great pride, Father, has brought me here." 30 December, the day of his execution, has been made a national holiday by the American Government and $50,000 appropriated for a monument to his memory; a new province, adjacent to Manila, is called Rizal; the two centavo postage stamp and two peso bill - the denominations in most common use - bear his picture. Whether he was unjustly executed or not, is disputed; his plea in his own defense is undoubtedly a strong one (cf. Retata). The year of his death was a year of great uprising in the Islands and feeling ran high. Whatever may be said about his sentence, its fulfillment was a political mistake. Rizal, it is said, did not favour separation from Spain, nor the expulsion of the friars. Nor did he wish to accomplish his ends -reforms in the Government- by revolutionary methods, but by the education of his countrymen and their formation to habits of industry. Besides the works mentioned above, Rizal wrote a number of poems and essays in Spanish of literacy merit, some translations and short papers in German, French, English, and in his native dialect, Tagalog. A complete list of his writings is given in Retana, "Vida y escritos del Dr. Rizal" (Madrid, 1907).